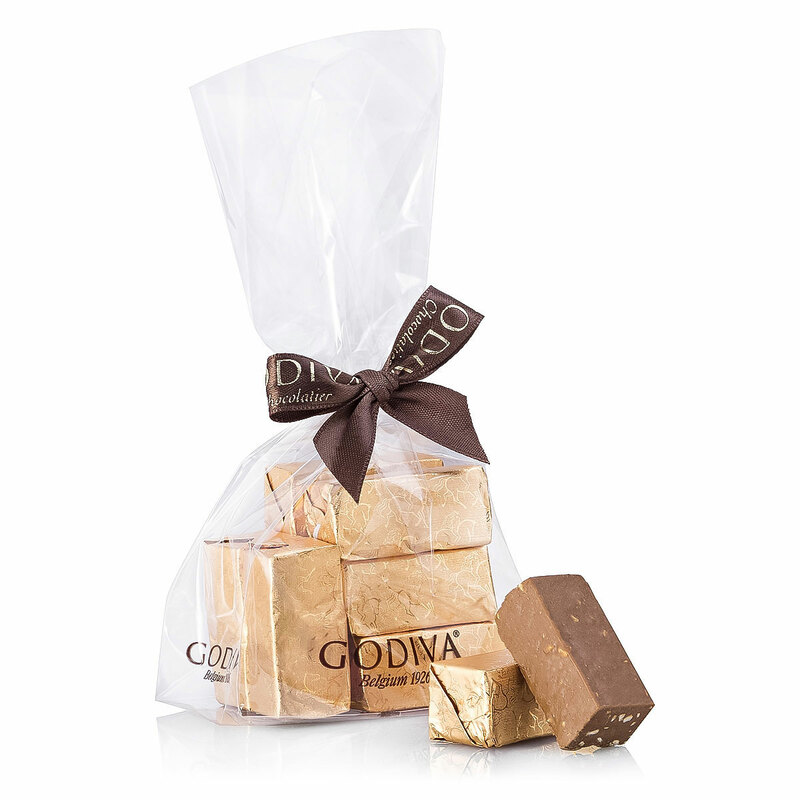 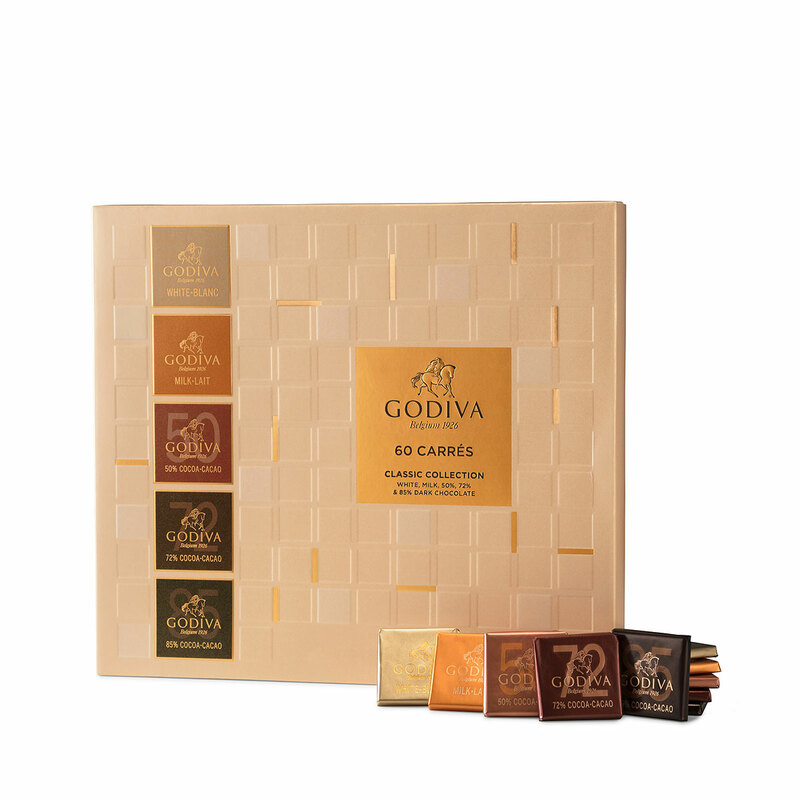 Make the holidays unforgettable this year with this prestigious Godiva chocolate croco gift basket. 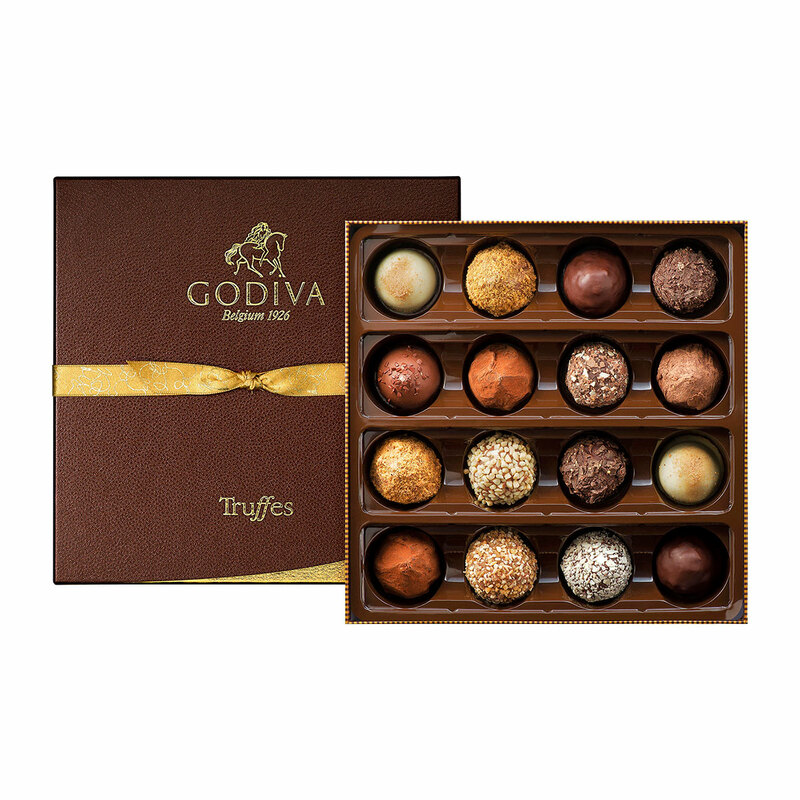 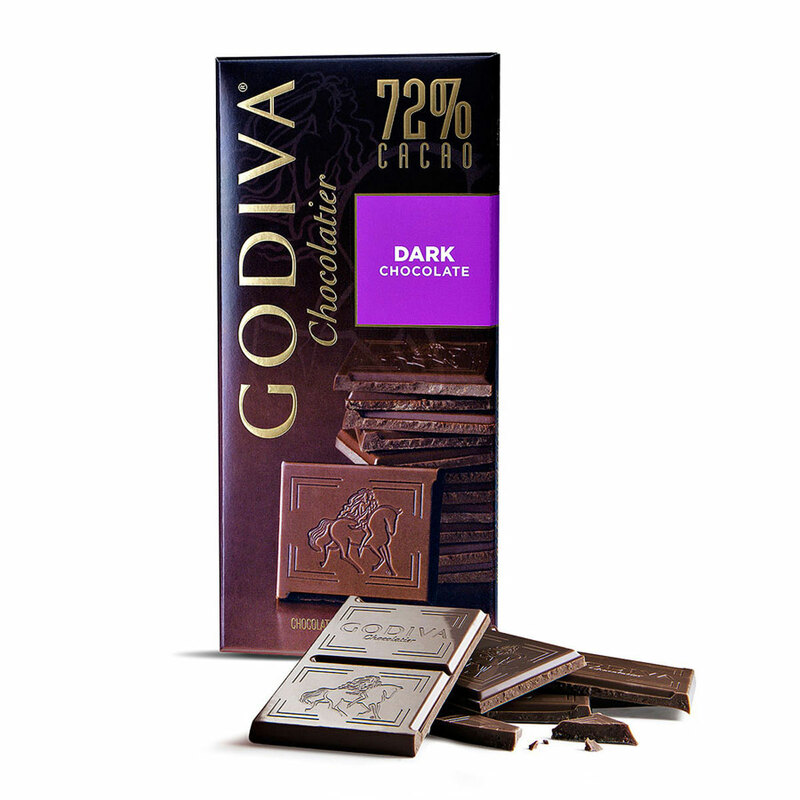 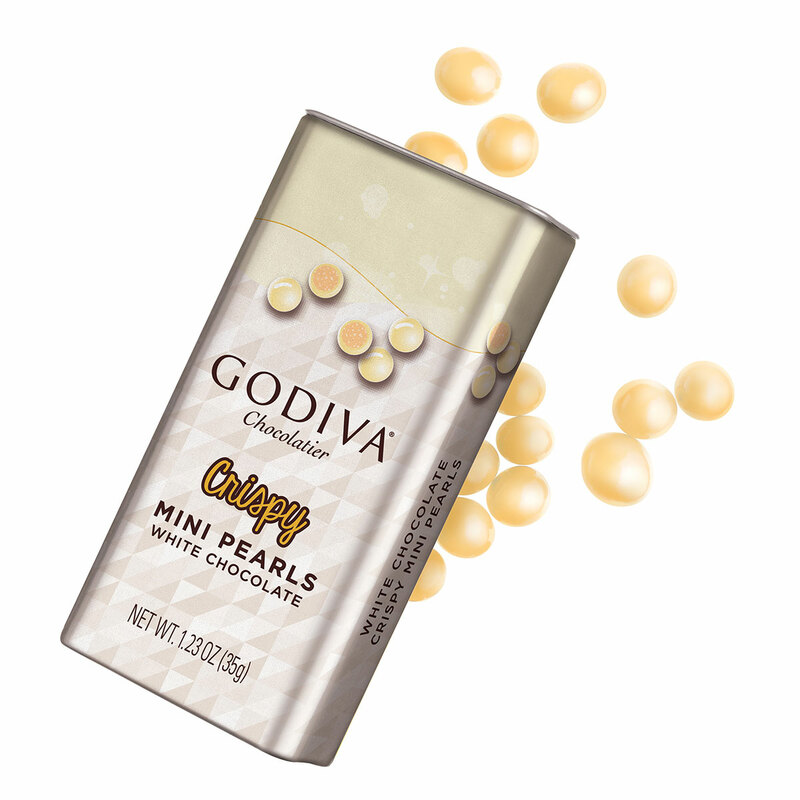 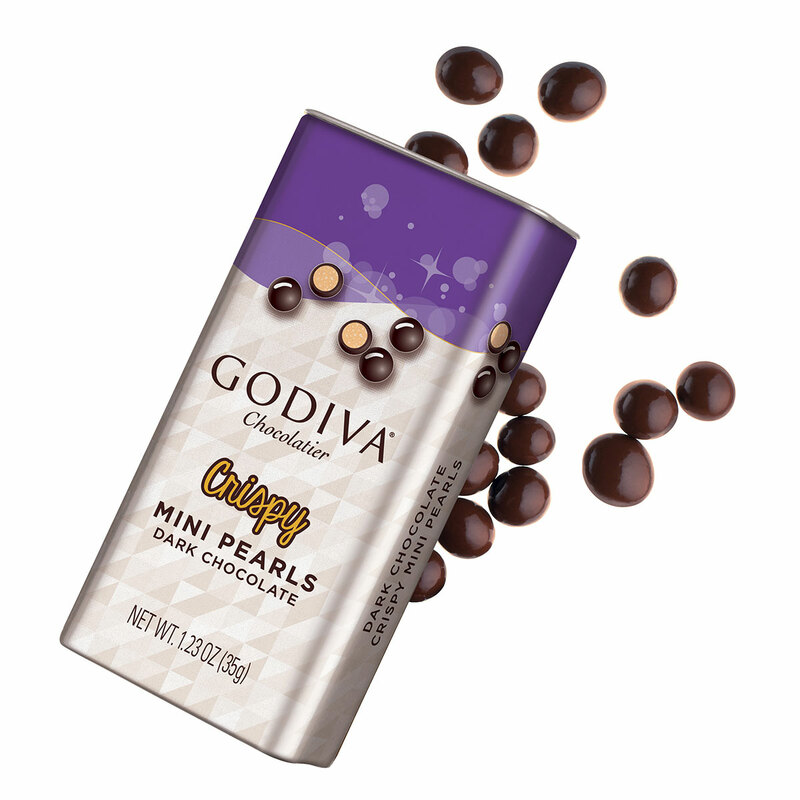 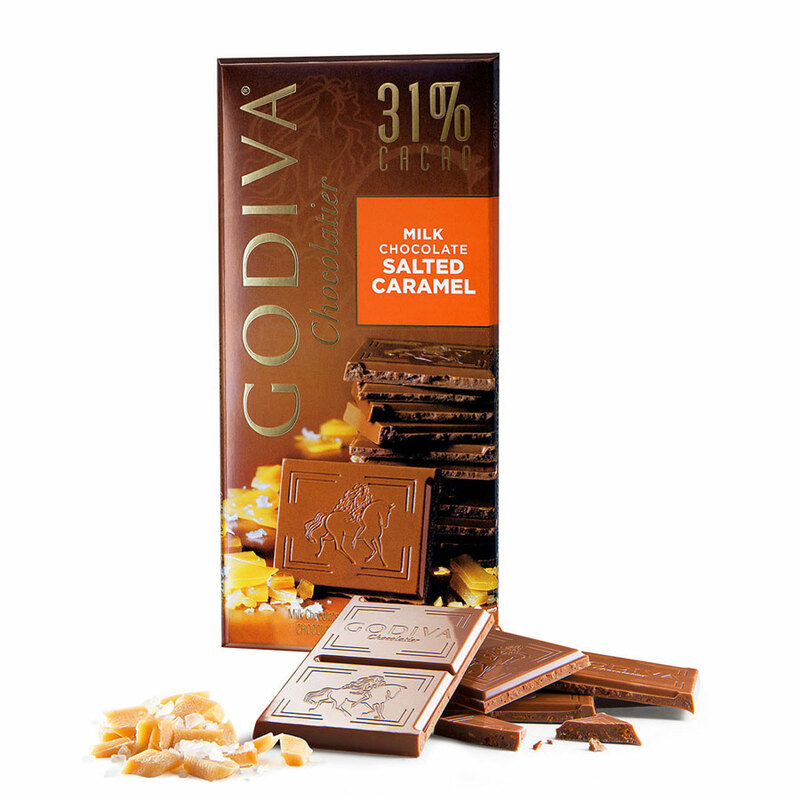 Treat friends, family, and business associates to an incredible array of Godiva's best luxury chocolates. 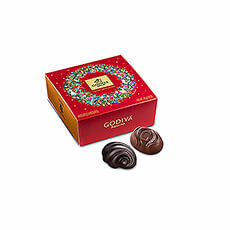 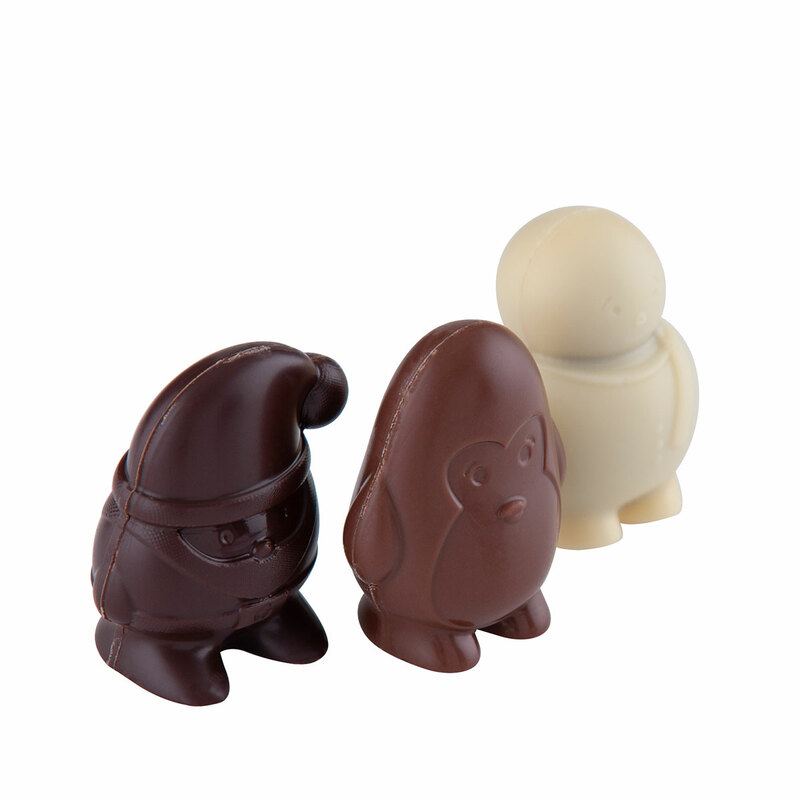 The delicious aroma of Godiva's hazelnut coffee will get them into the Christmas mood before the crack of dawn. 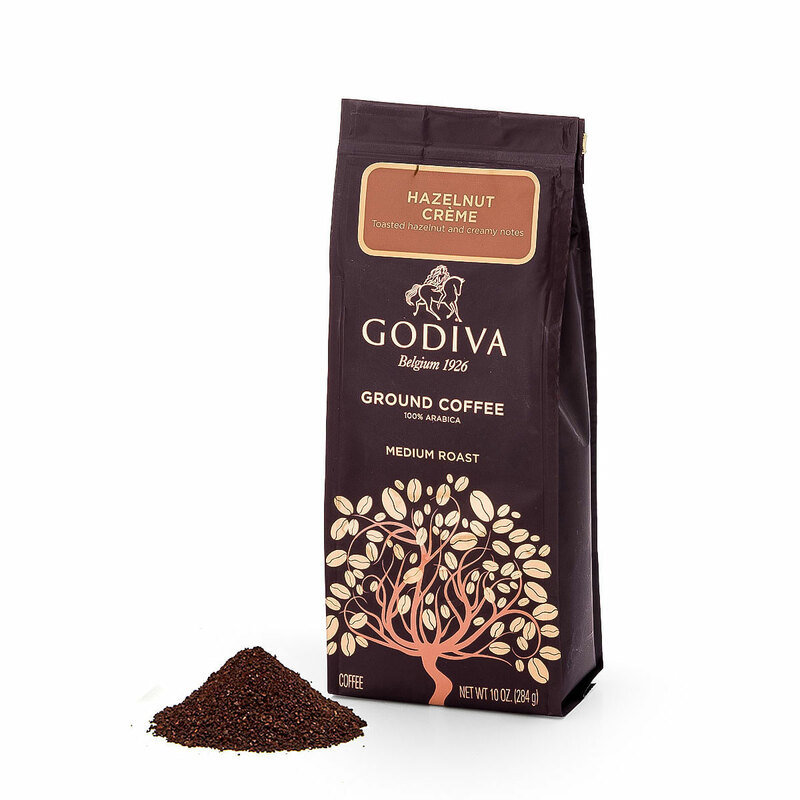 The intense chocolate flavor of the truffles dusted in a heavenly layer of cocoa powder gives the coffee an extra dimension, morning or night. 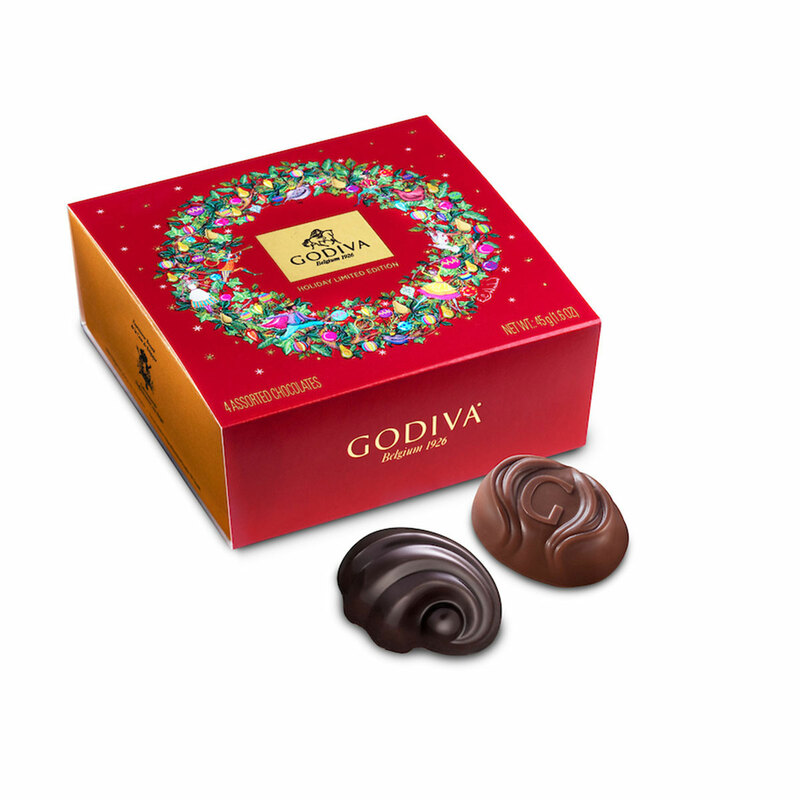 The classic Gold Rigid Box is festively decorated for Christmas, and is sure to please with its selection of Godiva's top favorites. 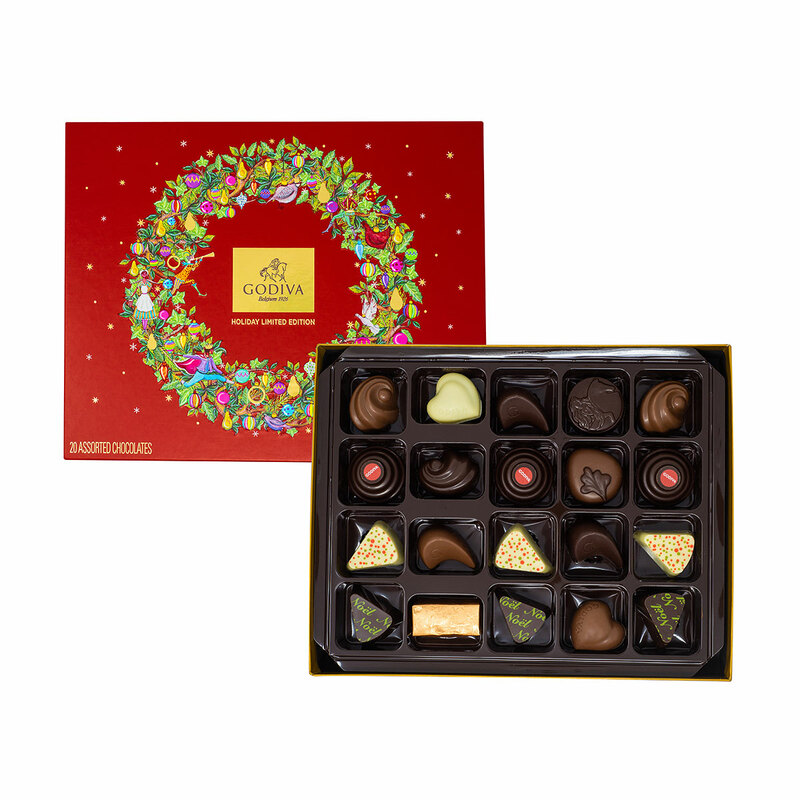 This gift basket offers a treat for every moment, with the luxurious carrés, Lingot Noisettines, wintry chocolate figures, chocolate tablets, and pearls. 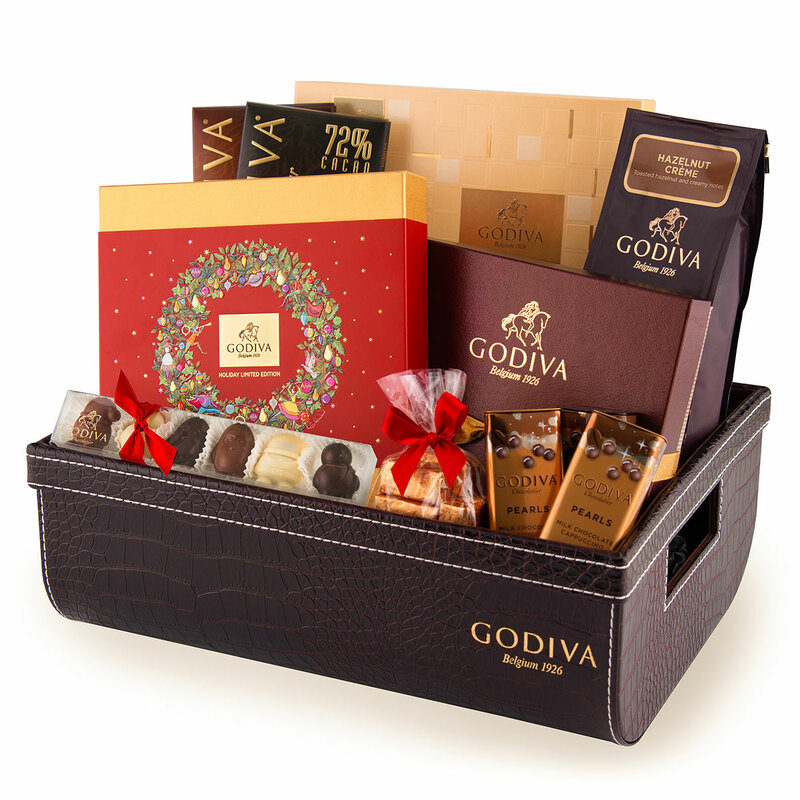 During the holidays, this incredible Godiva gift basket will keep them smiling all season long.